Wat will we eat and drink in 2017? What are the food trends 2017? Food trendwatcher Marielle Bordewijk share 5 remarkable trends to come in 2017. After the ban on fats and carbs, we prefer to focus on that one ‘good’ macro nutrient; proteins. This trend is already her for some tim, but will be more dominant in 2017. More and more products appear with high levels of proteins like egg wraps, protein bars, dairy products, double egg white omelets, pasta from lentils and even crisps made of soybean flour. For the vegan consumer there is special interest in plant based proteins, as vegan food is still an important trend for 2017. 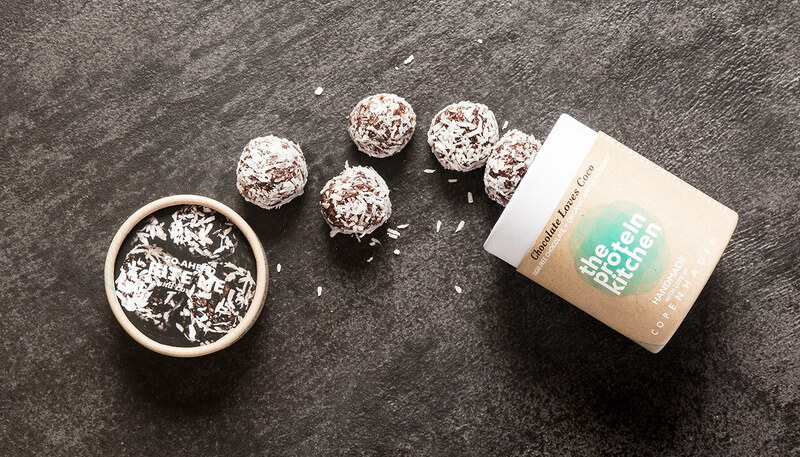 After all the extremities in healthy food, preached by food bloggers, there is a growing need for a more down to earth approach to healthy food. Bread, eggs and dairy are okay again, while superfoods like inca berries, hennep smoothies and kale smoothies will have a harder time to retain there popularity. 2015 was the year of puled pork. But in 2017 we will not restrict us to pork alone. We will see pulled salmon, pulled mushrooms and pulled duck. 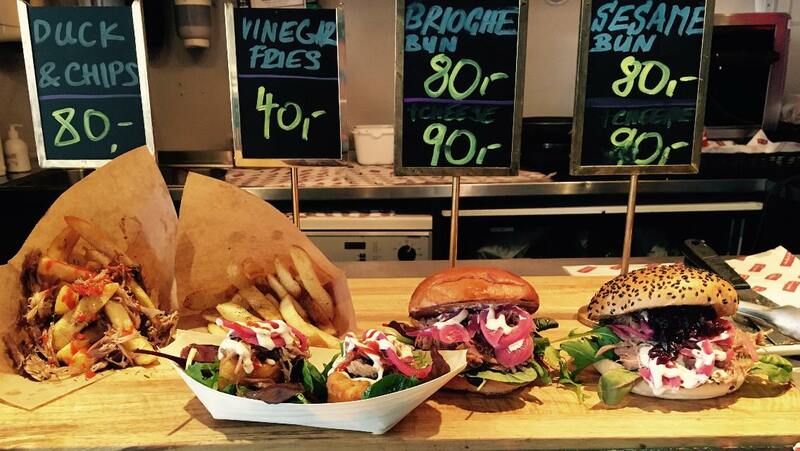 At Copenhagen Streetfood, one of the best visited food caterers is ‘Duck it’ who serves succulent pulled duck, served on a brioche or with vinegar chips. Was bitter the hot flavor of the last couple of years. In 2017 the attention will shift in favor of sour. Sour is also the title of a new book of famous, Dutch chef Bos Robben. His book is full of sour recipes like Peruvian ceviche, ponzu sauce, sour croquettes and fermenting. So maybe, after this year of sourness, we Dutch may finally cope with the vinegar crips of the English. Dominique Ansel, the famous patissier in New York, became very well known with his hybrid food design the croughnut. 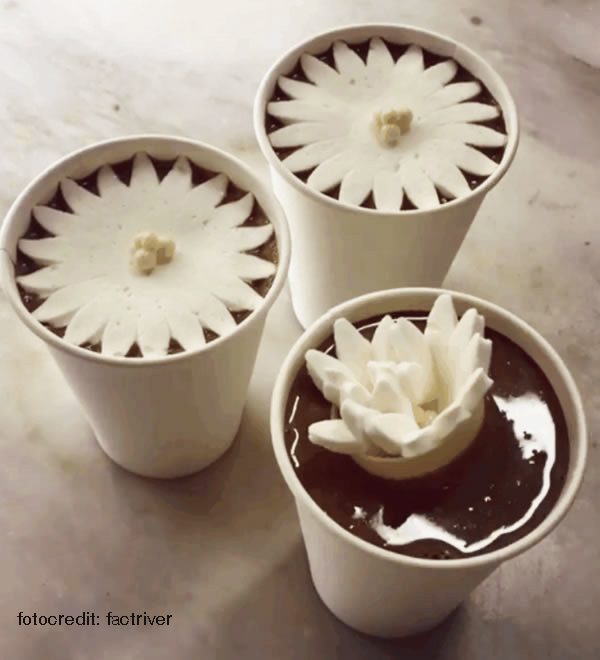 Now he has a new invention, a marshmellow flower that blossoms in hot chocolate. The flower is pulled together with a white chocolate ring, the ring melts in the hot drinks and it opens and unveils it’s beauty in your cup. Surely more chefs and patissiers will be inspired by the idea of transformational food design. Hungry for more food trends 2017? Consider a trend consult with Marielle Bordewijk and she will focus om the trends most relevant for your food business.